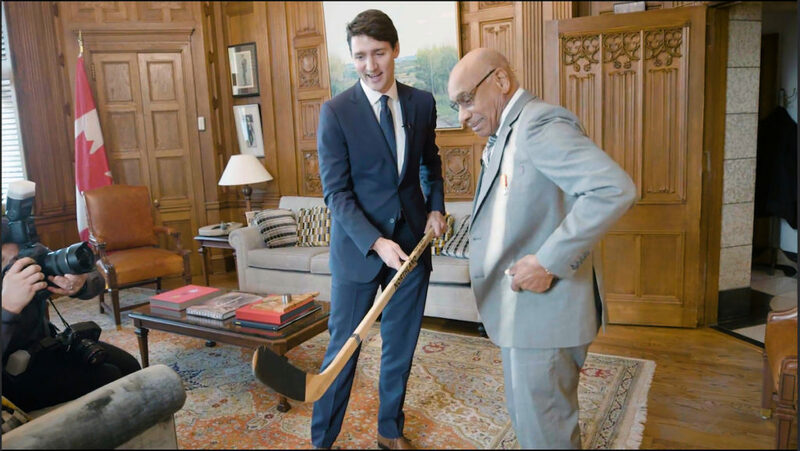 Willie follows the amazing story of Willie O’Ree, the first black player in the National Hockey League, and his family from his great, great-grandfather’s escape from slavery in 1779 to Willie’s ascent to hockey’s highest honor – induction into the Hockey Hall of Fame on November 12, 2018. Willie, directed by Laurence Mathieu-Léger, will World Premiere at the 2019 Hot Docs film festival on Monday, April 29. He was blind in one eye – an extraordinary secret that only his sister knew. He played 45 games in the NHL and then 22 years of minor league hockey. Later, Willie sold cars, managed fast food restaurants, and worked security at a hotel. When he was asked to become the NHL’s diversity ambassador in 1994, he was 60 years old. He took the job, and he has never stopped. Willie provides historical context and depth to O’Ree’s incredible journey. The film is a testament to the resilience and determination of a man empowered by his family’s legacy, and the people he has inspired along the way. Director Laurence Mathieu-Leger is an award-winning filmmaker, editor, and producer, wife and mother of two small children from Montreal, now based in New York City. An accomplished athlete, she specializes in documentary projects and has done work for major networks and publications such as The Guardian, Reuters, La Presse, Cosmo, and the United Nations, among others. Her work was featured at the American Museum of Natural History in New York City as part of the the special exhibition ¡Cuba! In 2017, Laurence received international recognition after winning a World Press Photo award for her groundbreaking work on the Guardian interactive production The Injustice System. In 2018, she was honored with the prestigious Edward R. Murrow Award in the continuing coverage category for her work on Keystone XL: Driving the US pipeline route. “Willie” is her first feature length film.